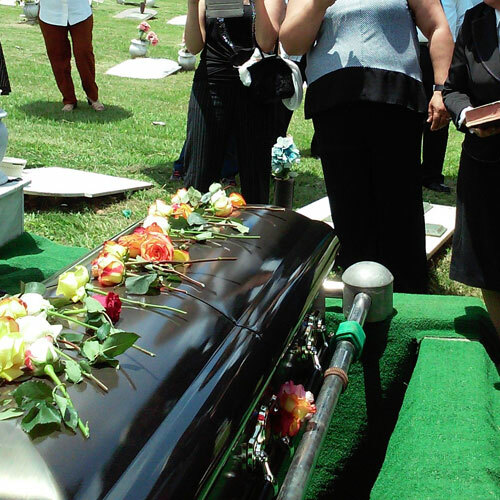 Losing a loved one is one of the most difficult experiences a person can go through and the burden of arranging the funeral can make things worse. Final expense insurance plans are helping people manage such expenses in advance and provide the peace of mind to their loved ones. But some funeral homes can make it more frustrating by recommending unnecessary funeral expenses or services that go beyond what the family can afford. Family members may feel pressured to give their loved one the best possible funeral and end up spending excessively in the end. To help protect you from overspending funeral costs, or if you want to make sure your loved ones are not burdened with your funeral debt, we offer you this short list of suggestions on how to avoid excessive funeral expenses. When choosing the funeral services, it is important to know all your options available. Contacting several funeral homes will provide you with a range of prices for the services available in your area. The funeral homes should provide you with general information about prices for all the services that interest you. Most funeral homes will charge you a basic service fee that includes services that are common at all funerals, regardless of specific arrangements. These may include obtaining copies of the death certificate, processing any necessary permits, safeguarding the mortal remains and coordinating the arrangements. The rate will not include any optional services or products, such as the coffin. Depending on the type of service for which you are preparing, there are several options to consider. The coffin is often the most expensive item you will buy for a traditional funeral. The prices of coffins vary enormously in style, material and price; some can be sold for up to $ 10,000. It is important to remember that you are not obligated to buy any funeral items directly from the funeral home. Increasingly, people buy coffins from retailers and send them directly to the funeral home. By law, funeral homes are required to use the coffin families provide and cannot charge any additional fees for using third-party coffins. Other funerary items such as funerary vaults (also known as grave coverings) or tombstones can also be purchased from retailers. Buying outside a funeral home can save thousands of dollars. Families often feel pressured to spend too much to honor the memory of their loved one. Some funeral homes can make things worse by taking advantage of the situation, often promoting the most expensive items. By investigating funeral costs in advance, you can establish a range of expenses that you feel comfortable with. You are supposed to compare the cheap final expense insurance quotes with various funeral service providers and decide what items are needed and what items you can do without. Unfortunately, some funeral homes make it a common practice to sell you the most expensive products and services that you can. Many times, they convince family members that the only way to honor a loved one is to buy the best. These providers can charge hundreds, even thousands of dollars for unnecessary funeral services. Having a trusted friend accompany you when planning ahead can help you stay within your budget. Remember that you do not have to do all this alone! There are organizations as well as individual experts to help you with choosing the best insurance plan for you. You can get in touch with these experts online as well and discuss your specific requirements. Depending on your needs and preferences, they will suggest the products and services you should include in a plan and the ways to get them at the lowest price possible.